Donum Naturals Therapeutic Moisturizing Lotion contains extracts of natural ingredients like Chamomile, Olive Oil, Vitamin E & F etc. Formulated with healing essence and matte powers to effectively cure and even tone dry and flaky skin. Highly effective olive oil helps to hydrate even the driest skins and acts as a protective shield and an anti-ager. 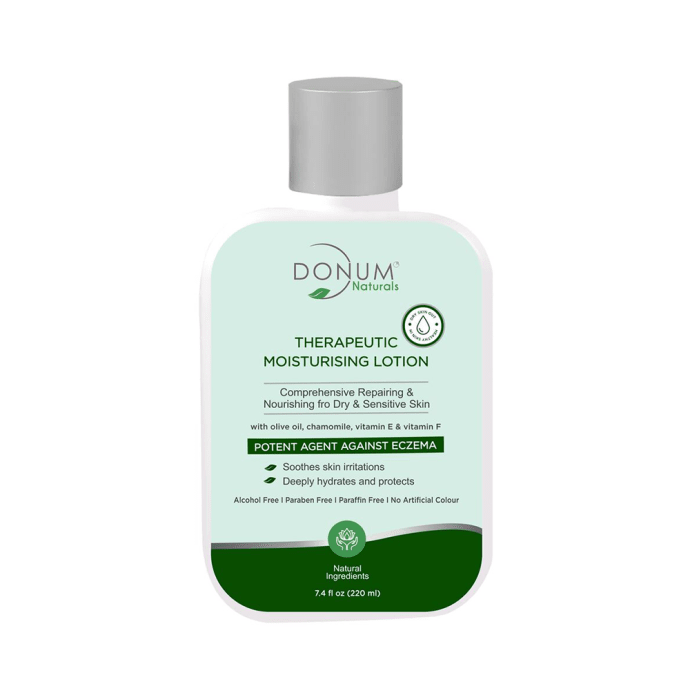 A licensed pharmacy from your nearest location will deliver Donum Naturals Therapeutic Moisturizing Lotion. Once the pharmacy accepts your order, the details of the pharmacy will be shared with you. Acceptance of your order is based on the validity of your prescription and the availability of this medicine.